While we become very used to the idea of art being something rather shocking, unsettling and disturbing, it is not necessarily true. Though in the past couple of decades art scene became increasingly interested in the controversial topics, there is still room for something a bit more dazzling and lightweight. Today we are going to talk about artist that meets all of the mentioned requires. He is moving, he is dazzling, he is bright. Let’s dive in the world of Nick Cave’s art! His most cherished works are “Soundsuits”, and the name is the best description of its concept. As a child, Cave was raised by a single mother along with his six older brothers. With a very limited budgets, the artist would show an early interest in the found objects and its concept. While studying in Kansas City Art Institute, he expressed an interest in dancing program and begun his training. Cave’s first sculptural suit was created in 1992 with just small branches and sticks that made specific sounds while the person in costume was moving. 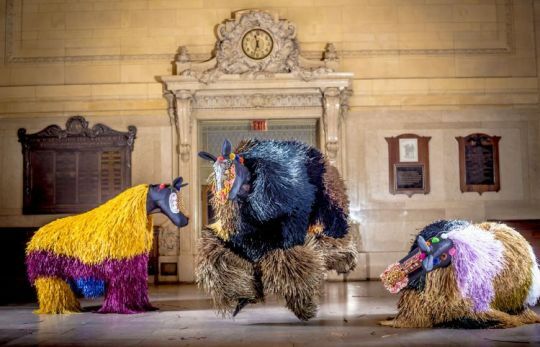 Although costumes are exhibited in the various manner, in the forms of static sculptures or documented on video, this kind of art is better observed in motion. In artist’s performances music is playing a huge part, as well as rhythm and dynamics. It creates hypnotic atmosphere, similar to the ritual dances of African tribes. 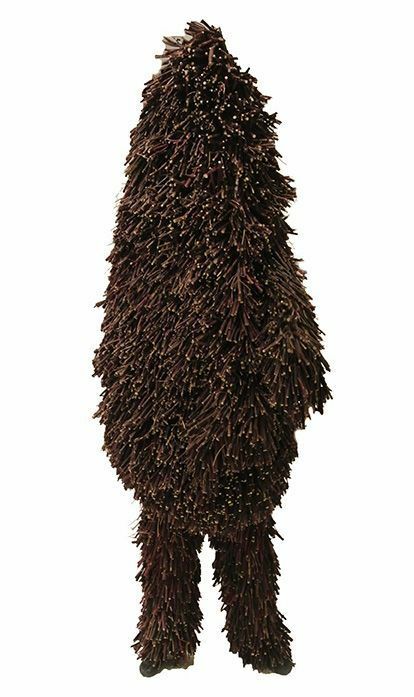 Indeed, Cave is very much inspired by the attires involved in different cultures, such as The Dogon costumes of Mali in Western Africa or Chinese carnival costumes and European ball traditions. Cave himself says that he is very much interested in all kinds of apparel that accompanies cultural rituals and events in various countries. 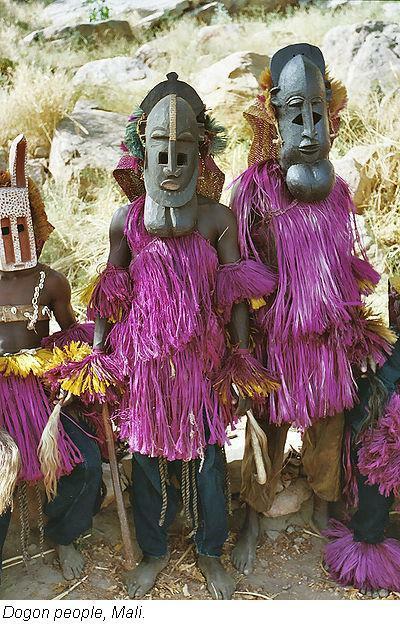 Similar to them, Cave’s costumes has wide emotional range and symbolize different emotions, from sadness and grief to joy and humorous spirits. Once we discussed that art doesn’t owe us anything, except a different view, a path to other dimensions. Nick Cave is over the top with this principle! Once you see his performances, the connection with Jackson Pollock comes up in mind. Wild, shamanic-like dripping technique and fierce and intense process of creation of one, totally resonates with energetic and ritualistic dances of another. We can make a guess, that if Pollock would be a performance artist interested in dances, he would create something very similar to Cave’s Soundsuits. Let’s enjoy their insanely catchy energy and try not to break everything around while dancing!